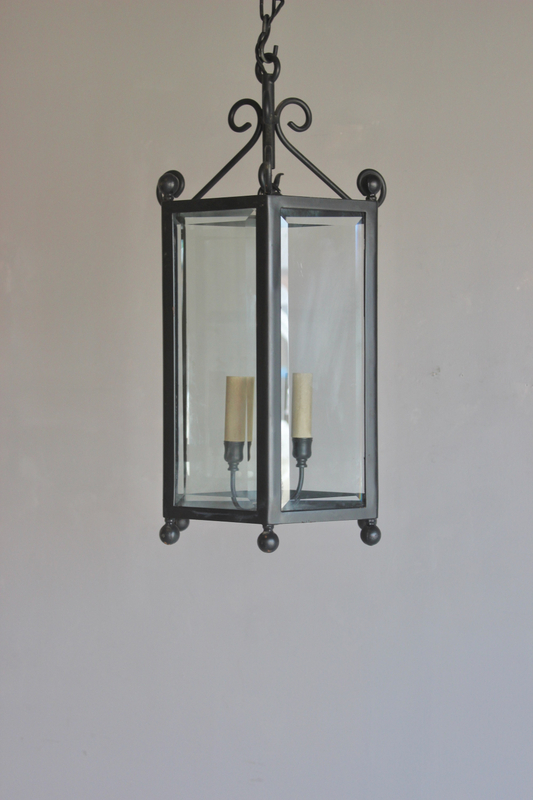 Our Wiveton Lantern with bevelled glass panels and 6 sides , this item can be sprayed up in grey , charcoal grey ( current colour ) or any F & B colour . Three branch electrical insert for SES E14 25 or 40 watt bulbs, wired with a metre of chain and flex and supplied with a matching ceiling plate . 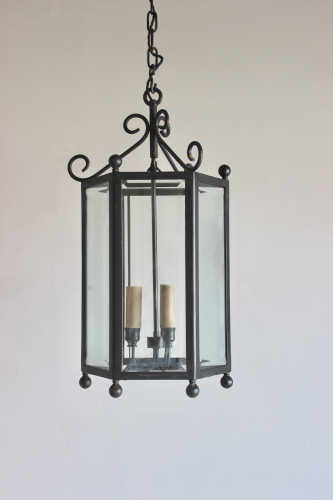 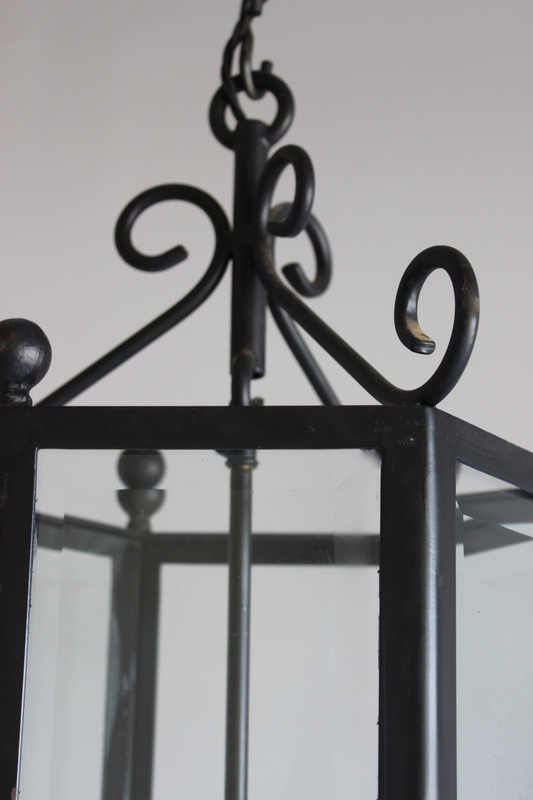 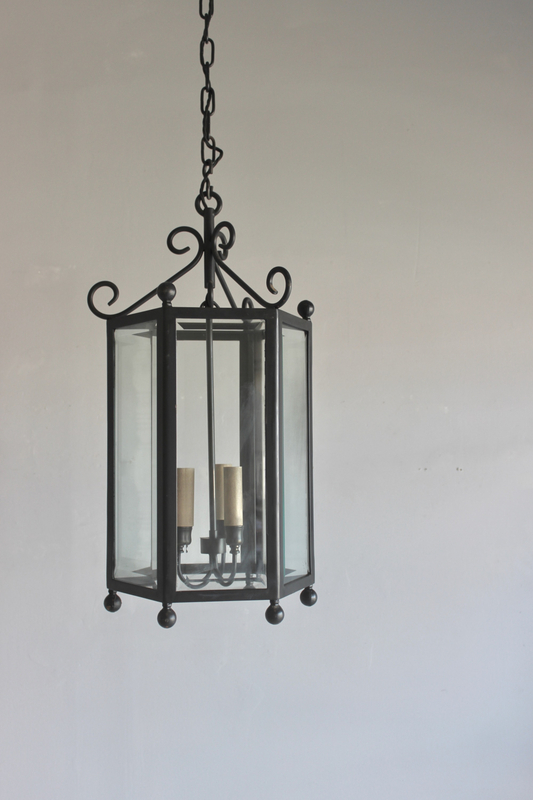 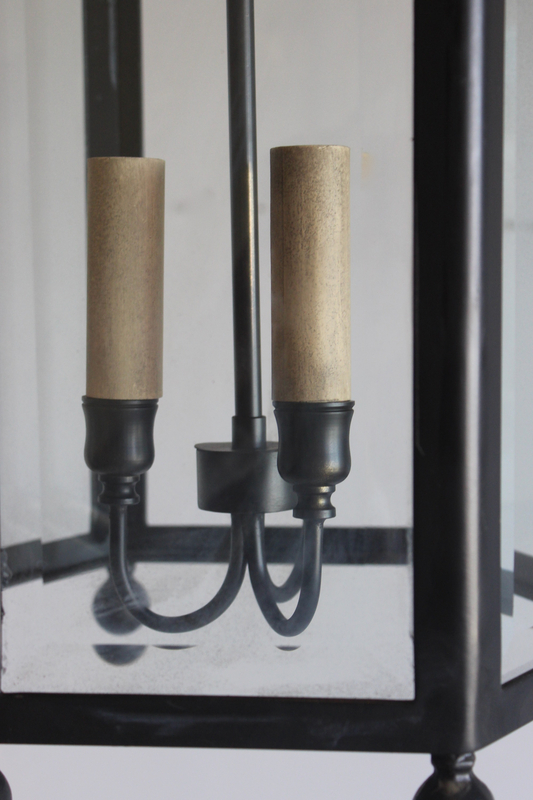 This particular lantern now available - lead time for additional stock 8 weeks .